Smartphone technology is evolving constantly. Of course, it needs to evolve, otherwise, after all, who would want an old-fashioned smartphone? For this very reason, in today’s fast-paced world, one of the most important and fast developing fields is the technology used in smartphones and the extent to which this technology can be molded to suit the purpose of any individual or corporation. 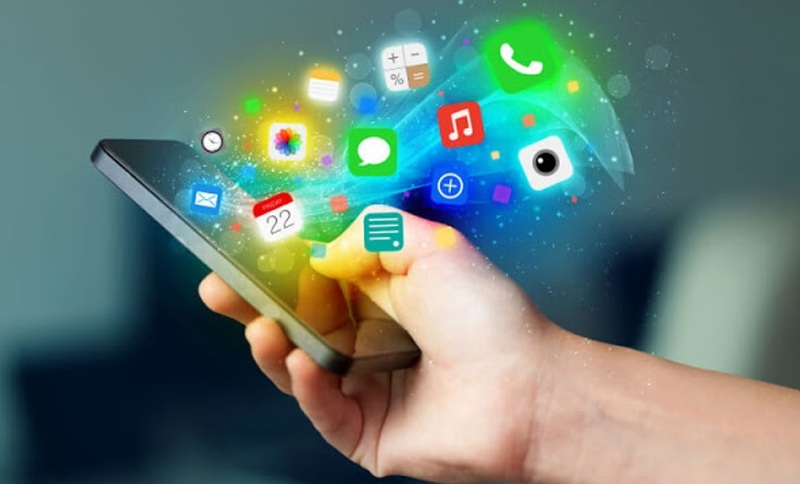 Side by side, the applications available on these smartphones are also one of the most important aspects that are connected, to the phones, the operating systems they use and the people who use them. Every person using a smartphone uses applications that can be installed on their phones so if you, as a corporation, wish to reach this end user, launching your own customized app would be the best way to do so! With the rapid development of the technology used to make smartphones, newer and more powerful smartphones are now being made that have led to an increase in the extent to which new software is being developed. Likewise, this development has also pushed the boundaries of the number of possible ways in which this technology could be used by users, especially organizations to help them meet their own needs. And this is where the application, or app development as it is more commonly called, comes in. Consider, for instance, the number of ways in which smartphones can be used today. One basic example would be that of alarm clocks. Since the introduction of smartphones into everyday life, they have completely changed the way that we actually even live. There is no longer any use of the traditional alarm clocks because now, every phone comes with a built-in alarm which can be modified to ring as many times in the day that you want in whatever ringtone that you would like it to ring in. Now consider this: if an individual is willing to use a smartphone as an alarm clock, wouldn’t they be willing to use that same smartphone in a number of other ways also? And if you are a business owner who wishes to get in touch with these seers, wouldn’t contacting them via an app installed on their smartphones be a great way to do so? With the rapid growth in the potential that smartphones have and the huge investments in research and development in their technology, it is inevitable that smartphone technology is going to lead to a significant paradigm shift… a shift in the way we live our lives, especially with new applications that are being regularly developed to make our lives easier. Apps really do not need an introduction today because, after all, who amongst us does not use them? At the same time though, from the point of view of a developer or even an organization, apps can take on a whole new meaning. Smartphone applications (apps) may be considered as being the pinnacle of development in smartphone technology. That is because apps, like software programs that utilize various features from the hardware of the smartphone in order to provide a desirable outcome, have gained more popular today than ever before. Everyone wants an app and a successful one at that! Apps can range from anything as simple as the program that allows you to read and send messages from your phone to even the program that allows you to manage all of your banking details and make purchases online with just a single touch. • Apps are a great way to connect with your target audience. Now you no longer need to just wait around for the more traditional means of communicating with clients. Your app and its ratings can be quite as trustworthy a way of connecting with your audience! • Apps can help increase your sales exponentially! Why go for just traditional ways in which to garner sales? Allow your customers the opportunity to buy from you at any time that is convenient for them! Move your sales online with a great app right away! Emma Alex is a freelance writer, experienced blogger, and a professional social media coach. Currently, she’s working with Appsocio.com & Khaleej Apps. Which provide best IOS Development and Android Development services.